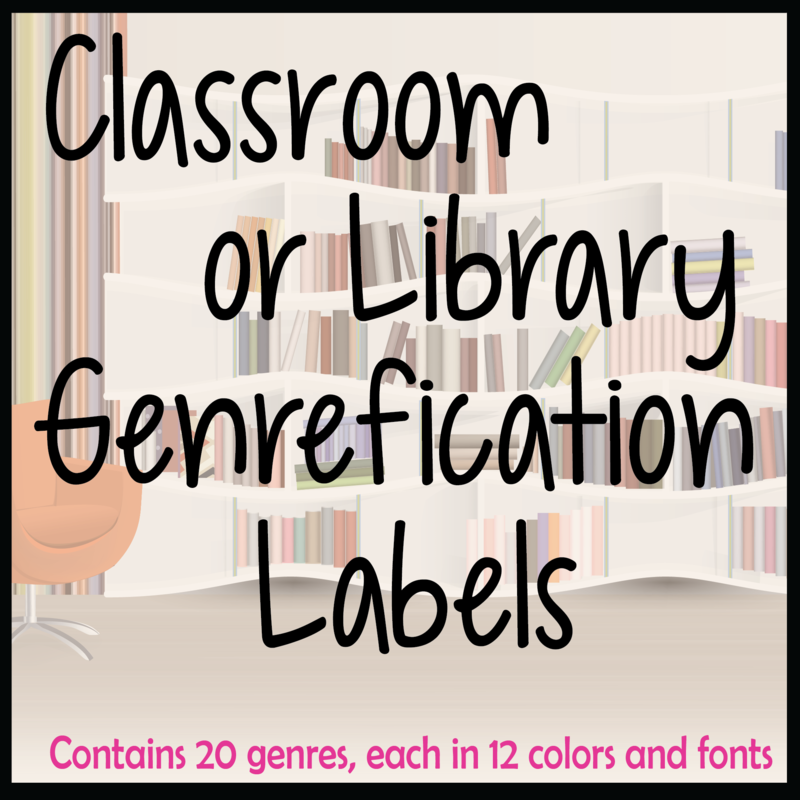 Mrs. ReaderPants: Genrefication objection #2: It is the librarian’s job to teach her students to use the library cataloging system, not make it easier for students to be lazy. Genrefication objection #2: It is the librarian’s job to teach her students to use the library cataloging system, not make it easier for students to be lazy. I went to the grocery store today. I bought ham, cheese, eggs, apples, and milk. With the exception of a few mega-sized supermarkets, most grocery stores here in my part of China are about the size of 7-11 stores in the USA. For today's trip, I was able to find everything I needed in maybe 5 minutes, tops. Thankfully, this grocery store, like every grocery store I've ever visited, had all the cold stuff--ham, cheese, eggs, and milk--all together in one place. The items I needed share similar characteristics such as the fact that they are all perishable foods that need refrigeration. Three are dairy items, so they are really close together. The apples were with the other produce, only a few steps away. How long would this trip have taken if I had to know the manufacturer of each of these food items in order to find them? What if I had to use the store's online catalog of goods to look up the manufacturers so I could find my groceries? Honestly, I don't care who made the foods; I just want to buy them quickly so I can get home to my family. Am I being lazy because I don't want to wander around the store hoping to randomly spot what I am looking for? Genrefying fiction is similar to grouping like items together at the grocery store. By shelving similar books together, genrefication makes the Fiction section more user-friendly and matches the way we are accustomed to looking for what we need. At the grocery store, I did not need any canned goods today, so I did not need to waste my time browsing the canned goods shelves. In the same way, students who know they want a beachy summer romance today do not need to waste their time browsing the Science Fiction section. Grocery store analogies aside, I do agree that librarians should teach their students library skills. While my fiction section is genrefied, I still have a fully-functioning Dewey section. I still teach Dewey and catalog search skills using a modified version of the Caveman Dewey PowerPoint. I use Kahoot to quiz my students on Dewey numbers. I love holding up my big green Dewey Abridged and have students call out some random topic so I can find the number for them. I love challenging students to figure out where we would catalog topics like candy bars or trampoline skills or schizophrenia. I always have a few students who really get into it and love the challenge. But what about the other students, the ones who don’t get into it? The ones who don’t listen. Who don’t care. Who don’t speak English so well. Who just don’t get it, no matter how hard they try. Perhaps they are lazy, bored, apathetic, tired...I’m sure some are exactly that. But aren’t these the students who need the library the most? And if they are truly lazy, how likely are they to use Dewey anyway? Isn’t it better that we meet them where they are, even if that is more than halfway? Isn’t it better that they have a book that might actually interest them than no book at all? Or would we rather they just grabbed any random book because they had to have something to read for DEAR? When the fiction section takes up nearly half of the library, we must find ways to help non-readers find the books they will love. Dewey did this by subdividing all the books into ten subject catagories. Librarians who genrefy do this by subdividing our mega-Fiction sections into genre categories. No, genrefication may not be perfect, but then again, neither is Dewey. I am loving your posts addressing the nay-sayers of genrefication. I genrefied my high school library's fiction collection this school year (loosely based on your model!!) and actually ended up doing my master's thesis on the process. I wanted to see if it would actually increase circulation: a student more easily finds a book she likes and comes back sooner for another book and so on. After six months of statistics and surveys, I found that it only increased slightly, but the student response was overwhelming positive. Almost every student surveyed said it was easier to find books they enjoyed for reasons you've mentioned here. They know where to look to find what they like as they often do not know the author's name. High school students know how to use the catalog and can search for specific topics, but when it comes to independent reading, they like to come in with their friends and browse. Genrefication makes this easier. I think that's a wonderful service for our students, not a disservice in the slightest. Thank you for your comment, Lesley! I so agree with you about students browsing with their friends when they are looking for independent reading. I'm wondering, too, if maybe your increase was only slight because you already had strong circ stats? I am loving this. I had sent out an email to all the other librarians in my school division about this very subject last year, and did not get back 1 positive response, so I put it on the backburner. I have just recently found your blog, and have listened to all your podcasts (my very FIRST time listening to a podcast)and saw this heading. I am practically giggling sitting in my chair reading this and getting so excited!! It makes sense!! I just had a class come in yesterday looking for Survival books. Well, with no advance warning to get a bundle together, we were all browsing the shelves together. How much easier this would have been!! Why not make it easier for kids to find what they want, and encourage reading. Thank you for your posts, I have yet to finish the rest, but I am sold!